Enjoy one of Bermuda's best hotels, Elbow Beach Bermuda which will be your very own island paradise, a place where nights are unforgettable and the days are simply amazing. With the main objective of delighting all the customers, Elbow Beach has the best exclusive suites and spas and much more. At night, you can spend your nights at the hotel and during the day you can enjoy the numerous leisure and relaxation activities around the hotel. It's no doubt that you will awe in amazement at the sight of one of Bermuda's best hotels, Cambridge Beaches Resort and Spa. A place with a great ocean view, sandy beaches and awesome cuisines to wet your appetite. A night at the Cambridge Beaches Resort and Spa will give you the rest or relaxation you need. During the day you can share the leisure activities with your family or the rest of the hotel guests. Enjoy your stay at the Cambridge Beaches Resort and Spa. Looking for the perfect hotel in Bermuda to spend warm nights in the arms of your loved one? Looking for the perfect wedding venue for your upcoming venue? Looking for the perfect getaway for your honeymoon or family vacation? Welcome to The Reefs Resort and Club in Bermuda. One of the most beautiful hotels with great ocean views, great sandy beaches and everything beautiful you could ever imagine. Have unforgettable moments at the Reefs Resort and Club. Overlooking the harbor, The Fairmont Hamilton Princess in Bermuda is one of the luxury hotels in the area. If you are one among the numerous leisure travelers in the world, this is the best place to spend a night in the magical resort. 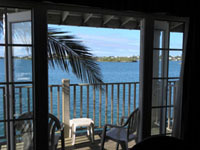 It is conveniently located in Bermuda for all people looking for a perfect spot to relax and enjoy the Bermuda Island. Hang out with friends or loved ones at the Fairmont Hamilton Princess and create unforgettable memories. Sometimes in life you need the perfect getaway to help you relax and step out of your busy lives. Well, in Bermuda, the Grotto Bay is the perfect spot for that. Among the scenery includes woodland preserves and dramatic caves. 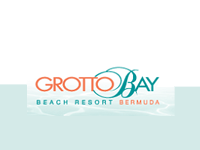 Being a lush tropical estate, the Grotto Bay features private beaches and numerous architectural perfect cottages to make your nights amazing. Don't forget the amazing cuisines that give you the taste of the tropical essence in Bermuda. The essence of a great honeymoon is having a strategically placed suite overlooking the blue waters of the ocean. Well, if this is your dream honeymoon experience, you could always try out the Coco Reef Beach Resort and Spa. Feel the ocean waves swirling and swooshing right at your window as you rest in the arms of your loved spouse. This is the perfect place to spend your honeymoon far away from the rest of the world and create unimaginable memories. Giving you the experience of a country estate, the Rosedon Hotel is surrounded by tropical gardens and private pools where you can relax and enjoy your vacation in Bermuda. From the front gate to the suites in the hotel, everything is great and amazing. Visit the Rosedon Hotel with friends or family and spend a great vacation in one of Bermuda's most renowned hotels. Enjoy the luxury activities along with the extraordinary cuisines that will wet your appetite and drinks that will keep you relaxed. Welcome to the Royal Palms, home away from home where visitors come to relax and rejuvenate. It is a place that provides you a sweet escape from your monotonous life in the heart of Bermuda. The Royal Palms has opened its doors to numerous local and international visitors to Bermuda. Being family friendly, you can bring your kids along for the ride as you enjoy the white sandy beaches near the hotel, the ocean view and many more luxuries. Spend your nights and days at the Royal Palms and have a great time. Welcome to the Newstead Belmont Hills Hotel in Bermuda, a very unique yet personalized boutique hotel that provides you with exceptional hospitality and services. This is the sweetest escape from reality you have been looking for. Therefore, pack up your bags, call your friends and meet at the Newstead Belmont Hills Hotel. It is a place that can be copied but never duplicated with the numerous natural attractions from both land and sea. This is the best vacation place for you and your family. Giving guests the home away from home experience is the top priority at the Wharf Executive Suites. Irrespective of which part of the world you come from, Wharf Executive Suites provides you with an alternate reality and a place you can call home any time of day or night. A renowned boutique hotel in Bermuda, the Wharf Executive Suites Hotel boasts with natural attractions such as crystal caves, beautiful beaches, botanical gardens etc. Take your family for a stay at the Wharf Executive Suites and have a great time.